That outfit is just awesome :) I love it. 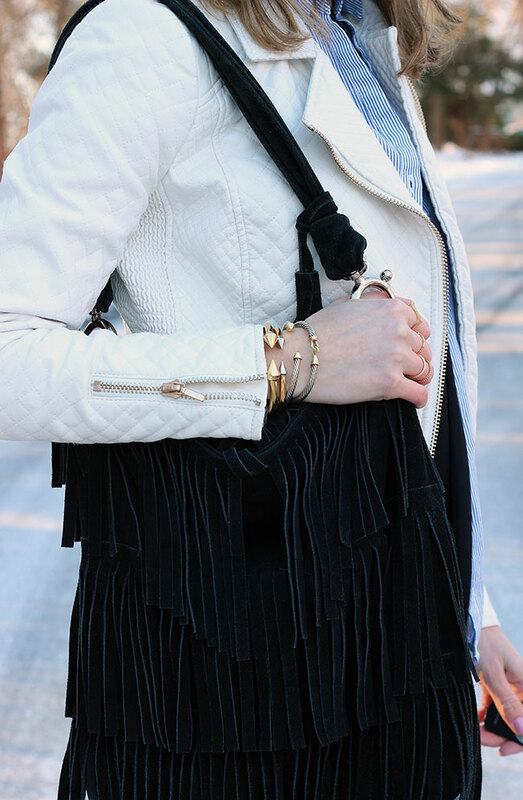 Super stylish - love the mix of preppy and edgy in 1 look! Have a lovely weekend! What a great idea! I'm with you, I have so many jeans in my closet it's ridiculous, I don't want to keep buying jeans every time a new cut comes in vogue. Maybe I'll try this too. It looks great. Love your bag too! Love this look! I've been wanting to try this too - I might need to pull the trigger now that I saw how well yours turned out! You did a great job fraying your jeans. They look so modern. I am dying over your booties and moto jacket and the way you tied that scarf like a men's tie. Thanks for the linkup, beautiful. I absolutely love this cream jacket layered over the striped shirt! You look fabulous, Rachael! I am loving the jeans and jacket! You've got me inspired to do a little DIY on a pair of jeans myself. 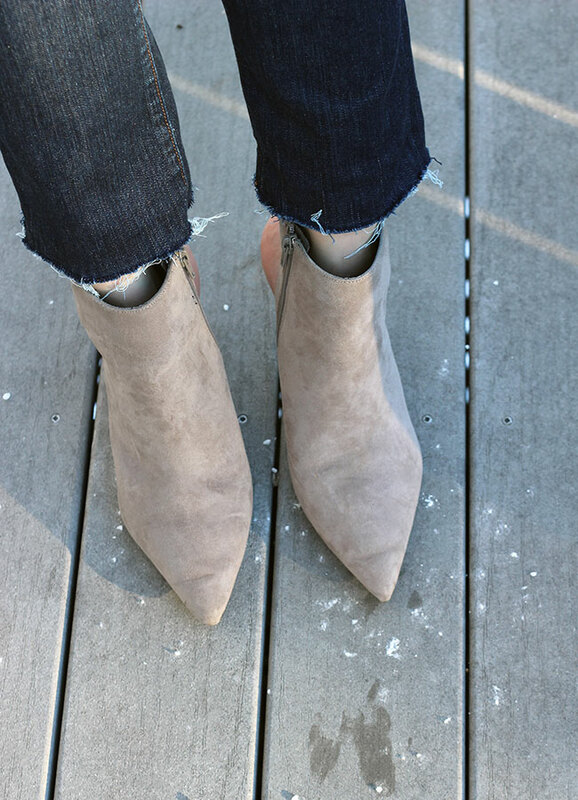 Your jeans turned out great and are so cute frayed! I love this entire look! Those shoes are sooo stunning!! I totally love this new post! It was a pleasure to check your blog now. Nice theme and design, btw! Really love that jacket, and your boots are fab!